We’re just over 2 weeks away from Halloween and I’m actually ashamed to say that I haven’t started decorating yet! I’ve got all my Halloween costumes picked out and my nails painted with some super festive nail art, but as for my apartment…it’s bare aside from a basket filled with apples and a pumpkin candle. I’m hoping to get out my decorations and pick up a pumpkin this weekend, but I think I’m going to keep it simple this season. 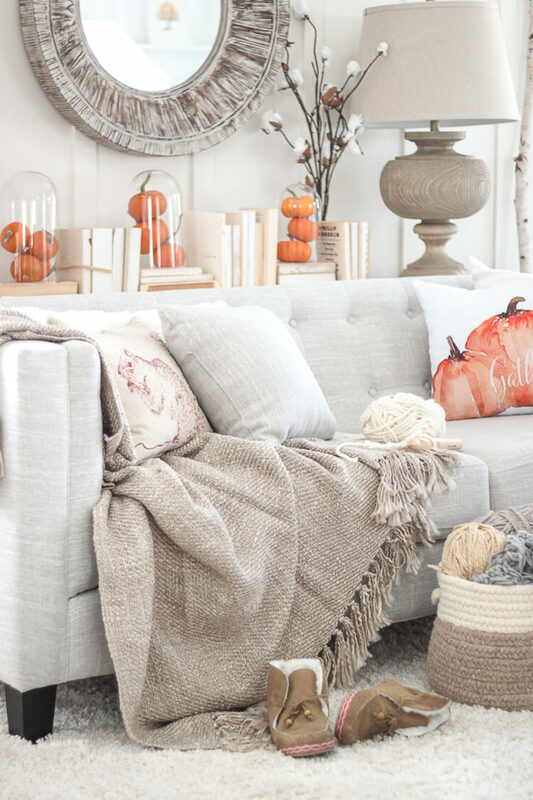 And just incase you were thinking of doing the same thing I thought I would put together a list of my 5 favorite subtle ways to decorate your home for Fall. The best part about these decorating ideas…they’re perfect for Halloween, but also perfect for Fall in general so these will look great all the way until Thanksgiving. Start with the outside. You might thinks wreathes are only for the Holidays, but Fall wreathes are just as festive, especially when their as cute as the ones above. 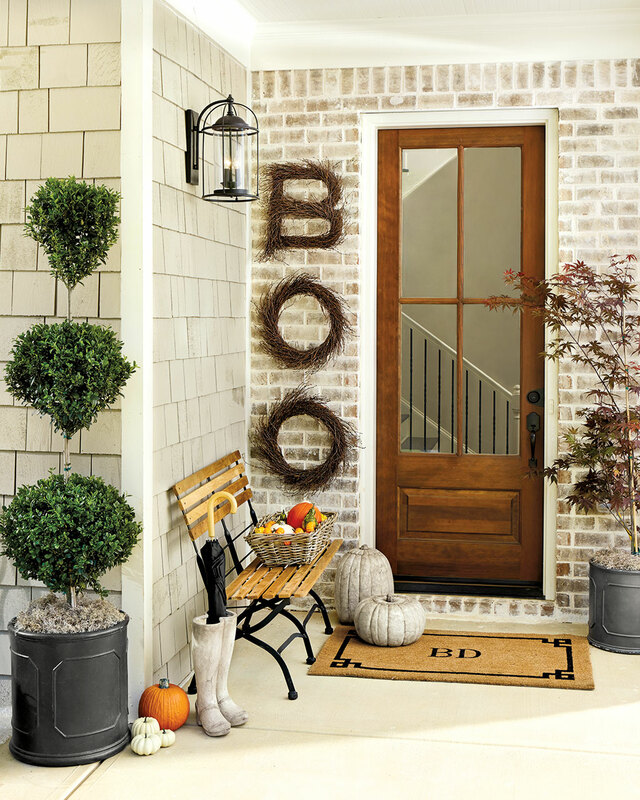 Who wants an average wreath when you can get one that spells out BOO!! Who knew something like that can look so classy! 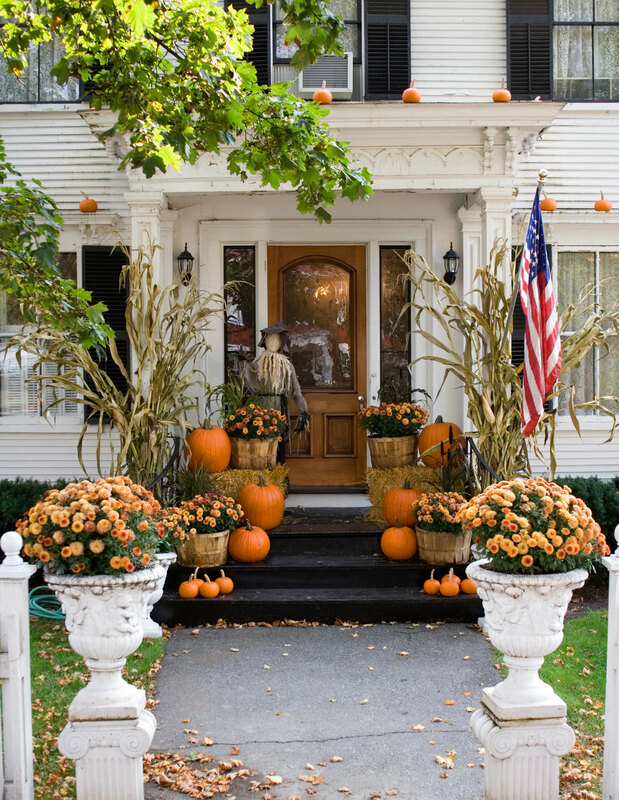 Another one of my favorite ways to decorate your front porch is with lots of pumpkins and mums. This might not seem like a subtle way to decorate, but it’s definitely an easy way! Even if you have no “decor” skills whatsoever there’s no doubt in my mind that you can pull this one off! Decorating inside your home? I’m still going the pumpkin route, but this time I’m going with mini pumpkins. I’m pretty sure you can buy these in bags for not a lot of money and I love the way they used to decorate here! You can also arrange them in a clear vase also! Looking to decorate your mantel, but don’t want to do something over the top? Why not just line up a bunch of pumpkins! Another super subtle, minimalist and clean…and perfect for last minute decorating. My last easy way to decorate is to dress up your table. Grab a burlap runner and a few more pumpkins and candles and you’re set! 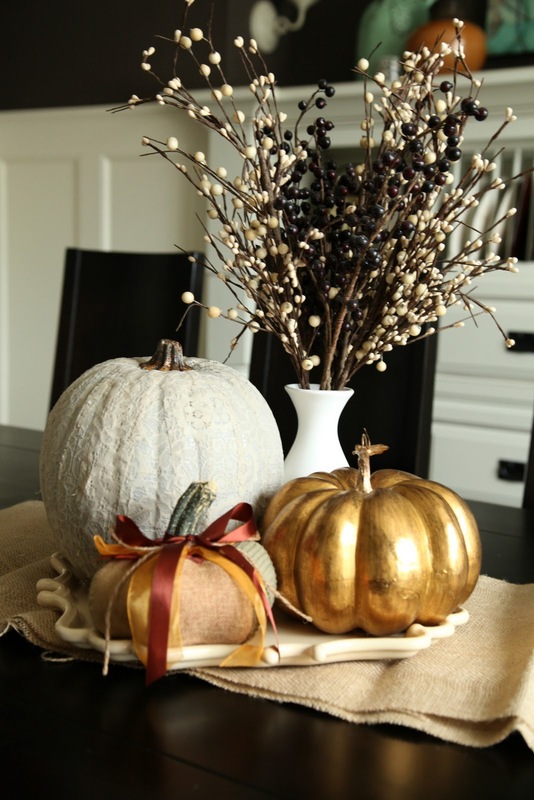 I love how these pumpkins are decorated with ribbon and lace and gold metallic paint. Out of the norm, but so chic, and perfect for that subtle Halloween Fall vibe. 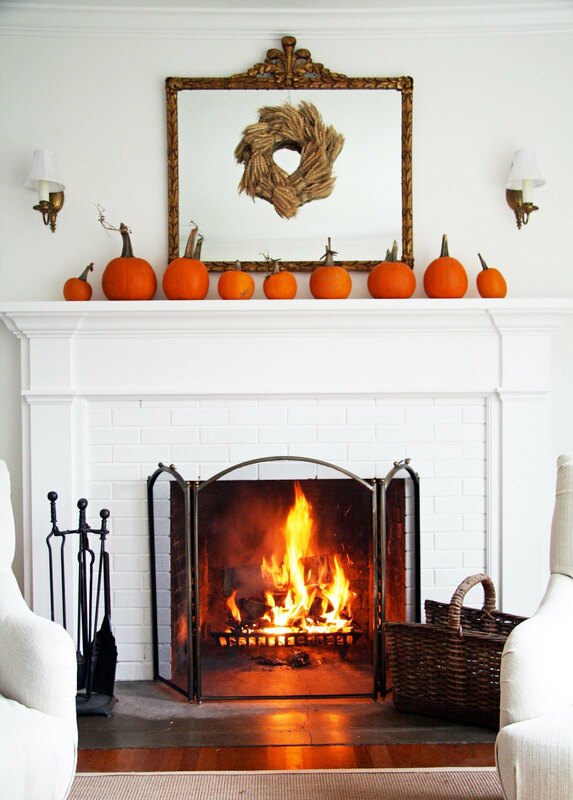 Here are a few of my favorite subtle Fall decorations! Looking for more Halloween Inspiration? Check out my Halloween tab!